FAUNA aims to be a show that has circus movement at its heart. 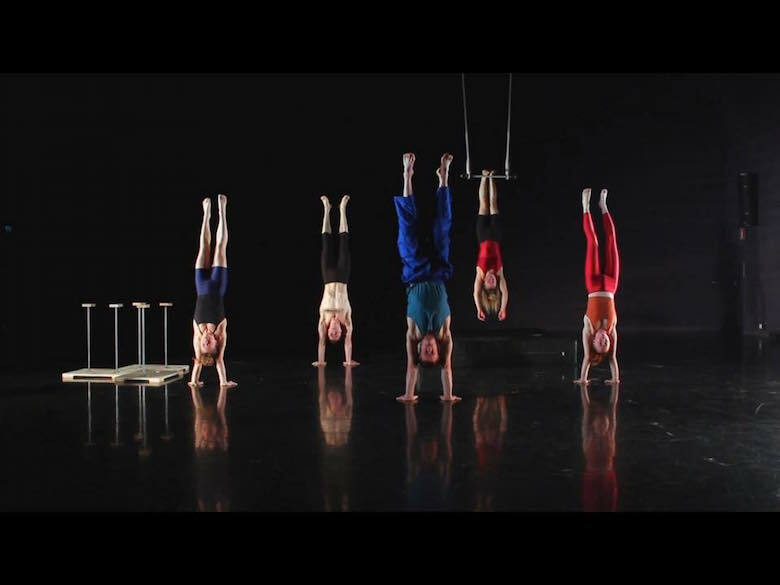 Taking the skills of each performers as a staring point, Fauna creates a (sur)reality on stage in which the trapeze and handstand sticks form part of a landscape in which the performers are naturally at home. The show takes inspiration from nature documentaries and will explore the changing allegiances between individuals, couples and the entire ensemble through acrobatics, movement and live music. The aim is to create a beautiful and engaging piece of work, presenting exceptional skills in innovative ways, sprinkled with moments of surprise and laughter. All of Fauna’s performers are graduates of the Swedish Dance and Circus Høgskolan (DOCH) where they have specialised in hand and head balancing, partner and group acrobatics, tumbling and static-dynamic trapeze. The show has gone through two stages of development and we are hoping to develop it further after Adelaide with a view to presenting the final show from Summer 2017, at Bristol Circus Festival in the UK, and at the Berlin Circus Festival.